Are you planning a trip to the Outer Hebrides? Well, how about a road trip with a difference? The Western Isles are more than the home of Harris Gin, the Gaelic language, the famous Callanish standing stones and Norseman tales. This summer I went on an an incredible trip ferry hopping across the islands in a campervan - and kayaking, wild swimming and horse riding along the way. GO HILL WALKING - Harris’s hills include the mighty Clisham, a Corbett at 799 m (2,621 ft) and neighbouring Uisgneabhal Mor, Teileasbhal and Stuabhal - climb them for views across the whole Outer Hebrides. MOUNTAIN BIKING - the Scaladale Centre will load up their mountain bikes for you and take you out into the hills - try the 12-mile Urgha and Maraig circuit above Loch Mharaig which includes 840m of descent. WILDLIFE WATCH - Take a boat trip out with Fish 'n' Trips from Keose harbour on Lewis to spot sea eagles, dolphins, seals and bonxies. COASTEERING - at Hushinish Beach on Harris, the Scaladale Centre run coasteering sessions. Grab a wetsuit, a life jacket and helmet and then see how high you are willing to jump… brilliant fun. WILD CAMPING - Fancy sleeping outside? 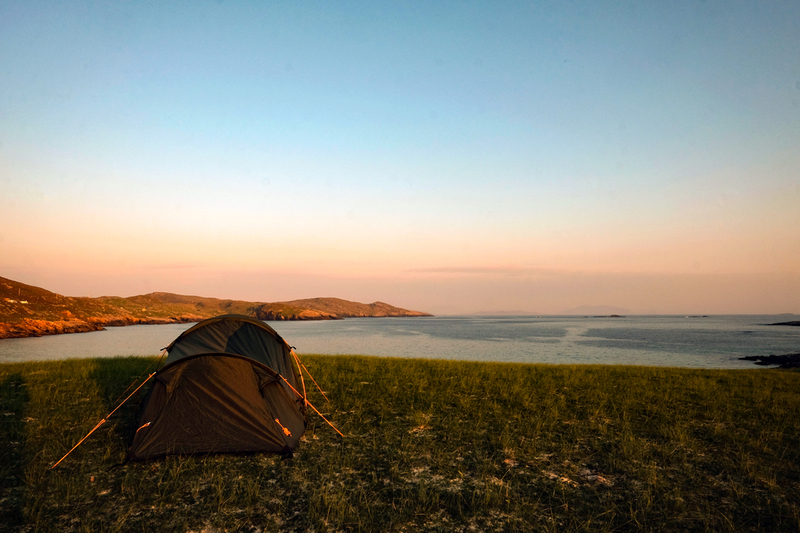 Thanks to Scotland's access laws you can pitch your (small) tent on the Machair above Hushinish Beach. 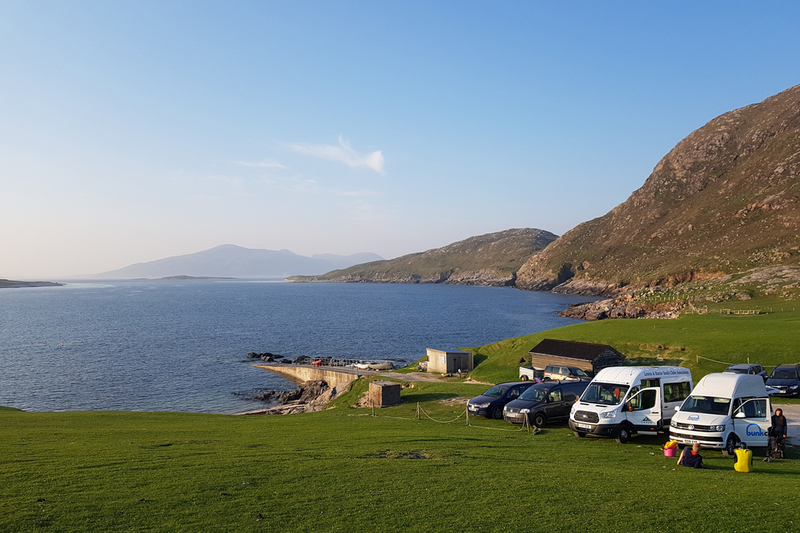 If you plan on wild camping in the Outer Hebrides follow the outdoor access code and remember to leave no trace of your visit. 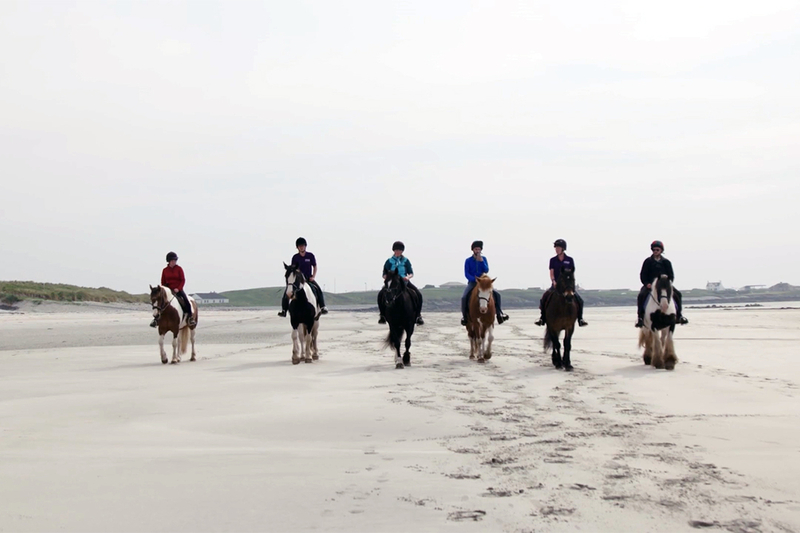 HORSE RIDING - fancy horse riding on a white sandy beach in the Outer Hebrides? Uist Community Riding School caters for all sizes and abilities, you might even be able to persuade your horse to go for a paddle in the water! 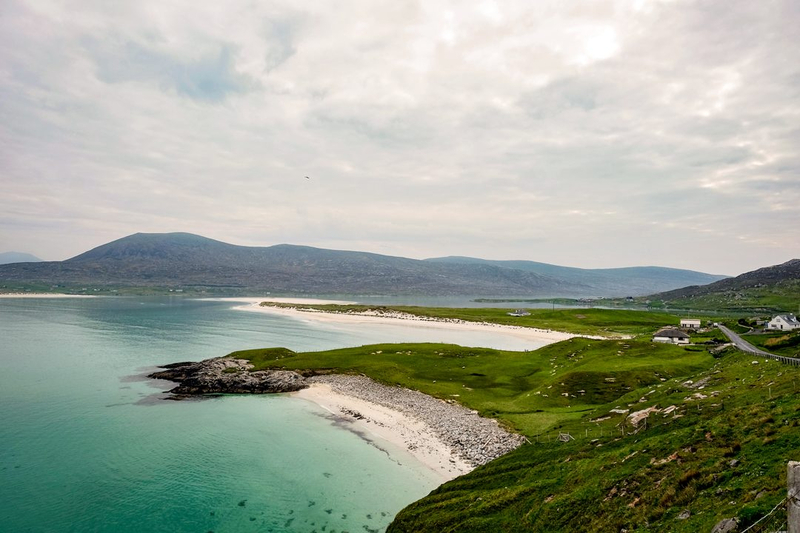 WILD SWIMMING - The beaches off the Outer Hebrides are perfect for swimming, with soft sands, and shallow depths and thankfully the temperature off Benbecula in summer is just about bearable - and you will certainly feel refreshed! 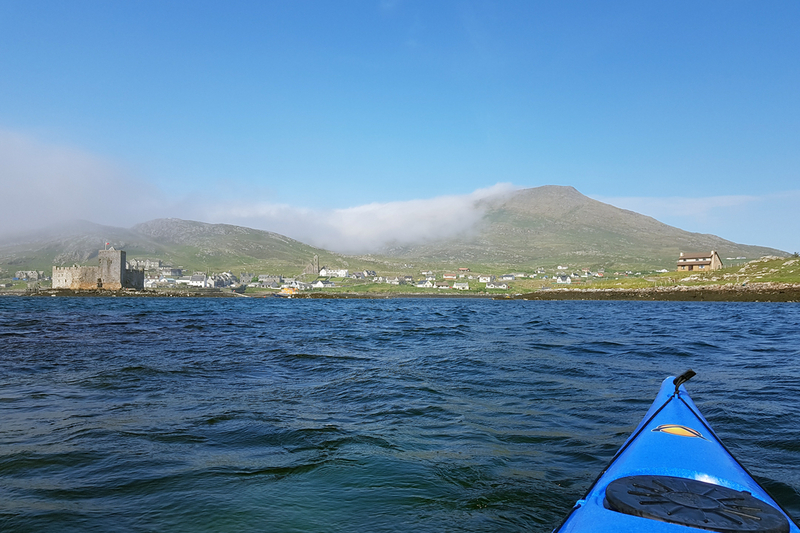 KAYAKING - There can’t be many more places in the world more spectacular than Kisimul Castle to go kayaking. Clearwater Padding hire sea kayaks so you can explore the bay or head further afield along the coastline of this beautiful part of Scotland. SNORKELLING WITH SEALS - try snorkeling in Scotland with Barra Surf Adventures - along with friendly grey seals - plus you can put your flippers down at any time, the water is so shallow! WALK OR CYCLE THE HEBRIDEAN WAY - up for a challenge? The Hebridean Way is a 155m route finishing at Lews Castle on Stornoway taking in 10 of the Outer Hebrides islands - Vatersay, Barra, Eriskay, South Uist, Benbecula, Grimsay, North Uist, Berneray, Harris and Lewis. Phew. You can read the full post and watch the video of our trip on my blog Love, from Scotland. Have you got up to anything outdoors in Outer Hebrides? What would you recommend?